Through our uniquely designed online on-boarding flow, we capture the necessary information. We learn more about you, your business, your customers and your objectives. This step takes 5 minutes tops. 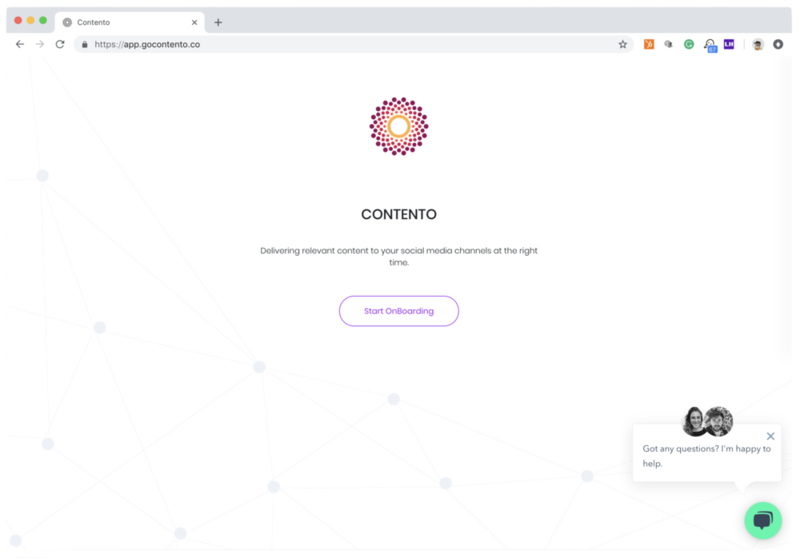 Request a demo of Contento here. Based on the information captured during the on-boarding, our A.I. and our experts start working for you. We create your personalized social media strategy that outlines how we’ll materialize your online success. Based on the personalized strategy we curate and create relevant and expertise-driven content that we'll share on your social media channels. Our proprietary targeting algorithm starts growing your social media channels and will engage with the right profiles for you. 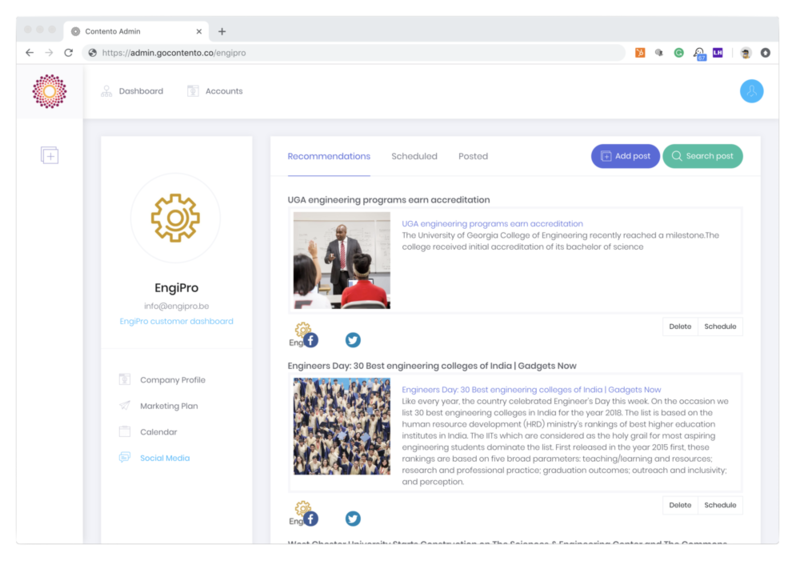 Through the personal Contento Customer Portal you get real-time access to the activity feed, the analytics of your channels and the communication center. We guarantee that you’ll always be up to date on what’s happening.